Located in the heart of a 4.3 hectare pine forest and only 3 km from the Vendée coast, the California promises you the best of holidays in a natural setting! 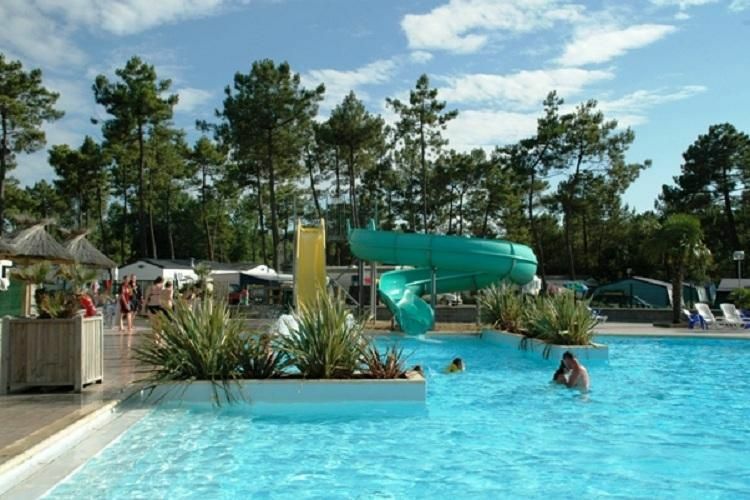 This campsite in Saint-Jean de Mont has everything to seduce the whole family: natural green landscape, peaceful atmosphere, quiet pitches and quality facilities. In addition, this campsite is ideally located as a starting point to discover Saint-Gilles-Croix de Vie (11 km) and Les Sables d'Olonne (39 km). Set slightly away from the bustle of the city, it is located 6 km from the first shops and less than 10 km from several sites that are rich in leisure activities (equestrian centre at 4 km, sea fishing, sailing club at 10 km, etc.). On site, its beautiful aquatic area (swimming pool with waterslide, children's pool and whirlpool) promises you well-being and comfort. As a family campsite, the California obviously has a club dedicated to the young ones. This mini-club (for 5 to 12 year-olds) is animated by a fun and creative team of monitors. Their elders have not been forgotten at the California, thanks to various activities programmed during the day and the evening (high season). Apart from leisure, you will also find all the essential amenities on site: grocery store (open in July and August), food (takeaway food and restaurant corner open from July to August, bar, etc. ), gaming facilities (children's playground, petanque, ping-pong, etc. ), internet terminal and various rentals (bikes, go-karts, etc.). Nearest townSaint Jean de Monts (6 km). The seaside resort town of Saint-Jean-de Mont welcomes you in a rejuvenating setting on the Vendée coast. Bordered by 8 km of sandy beaches, Saint-Jean-de-Monts enjoys a sunny climate, hence its renown as the "Coast of Light". In the high season, you can stroll through the market where the aromas of spices mingle with the flavours of the terroir. Maybe you will have the chance to discover the Déferlante dEté (Summer Wave) festival? And for those who pamper their body, nothing could be better than a regenerating treatment at the marine spa after a walk by the sea! Situated in the Breton marshes of Vendée, the surroundings of Saint-Jean-de-Monts offer you walks in the heart of an area that is exceptionally rich in flora and fauna. 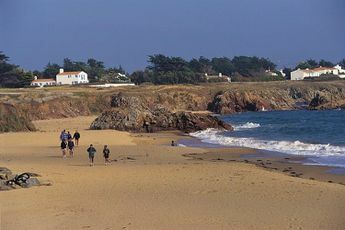 Further north, you cannot miss the chance to make a getaway to Noirmoutier! After a stop at one of its dream beaches, gourmets will be delighted by a dish of "mogettes" with Vendée ham and the famous "bonnotte" (potatoes) of Noirmoutier. In the area surrounding Saint-Jean-de-Monts, you will be able to continue your excursions to other resorts further south. Perhaps you will choose to organise an unforgettable day at the water park of Saint-Hilaire-de-Riez? 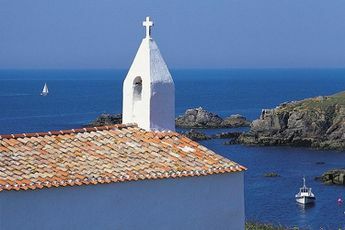 Or maybe you will prefer to embark at Saint-Gilles-Croix-de-Vie for an excursion to Ile d'Yeu? Lovers of old stones will be delighted to discover the religious buildings, ancient monuments and museums of Les Sables d'Olonne. A little further away, they will be attracted by the history of Nantes and will take advantage of this day out to satisfy all their cravings for the city!